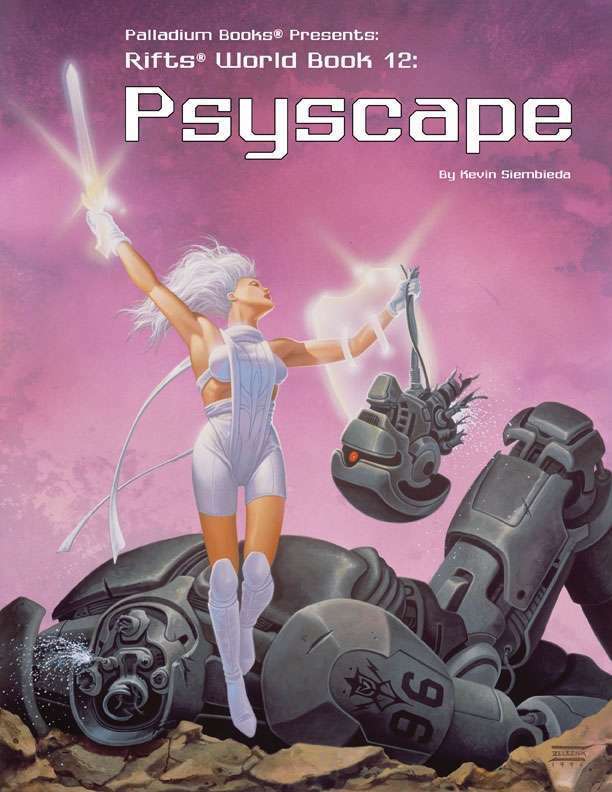 Fabled Psyscape™, the stuff of myths and legends, revealed at last! The history, power and key figures of this mysterious realm of psychics, psychic energy and psionic mastery. 11 new psychic O.C.C.s like the Psi-Ghost, Psi-Nullifier, Psi-Slayer, Zapper & others. 28 new psychic abilities and notes on psychic powers and combat. 20 new monsters, some psychic, many just evil. Notable factions, villains, heroes and the Harvester of Souls. Psi-Cola, a highly addictive drink that can grant temporary psychic abilities along with various unexpected side effects. Psyscape, D-Bees, aliens, dark secrets and world info.